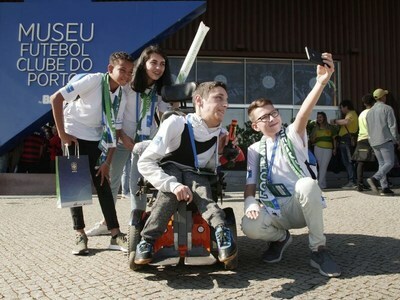 PORTO, Portugal, March 23, 2019 /CNW/ -- Today, at Dragão stadium in Porto, the Young Ambassadors of Gazprom's International Children's Social programme "Football for Friendship" presented the main award of the programme ? the Nine Values Cup ? to the Brazilian national football team. This unique trophy symbolizes the Nine Values of the Football for Friendship ? friendship, equality, fairness, health, peace, devotion, victory, traditions, and honour. 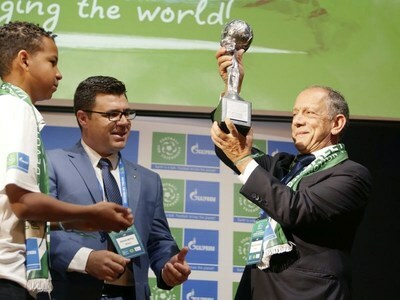 The award ceremony took place on the threshold of a friendly match between Panama and Brazil.